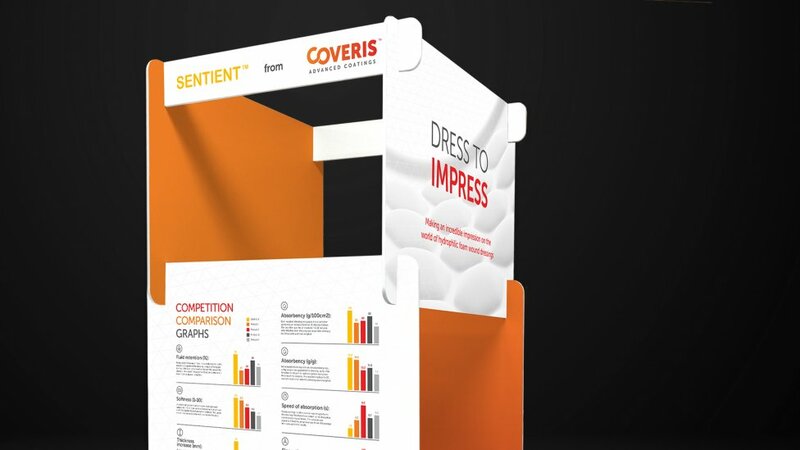 Coveris is a leading international manufacturing company dedicated to developing vital protective products that improve millions of lives every day, from medical supplies to touch screens and even the food we eat. 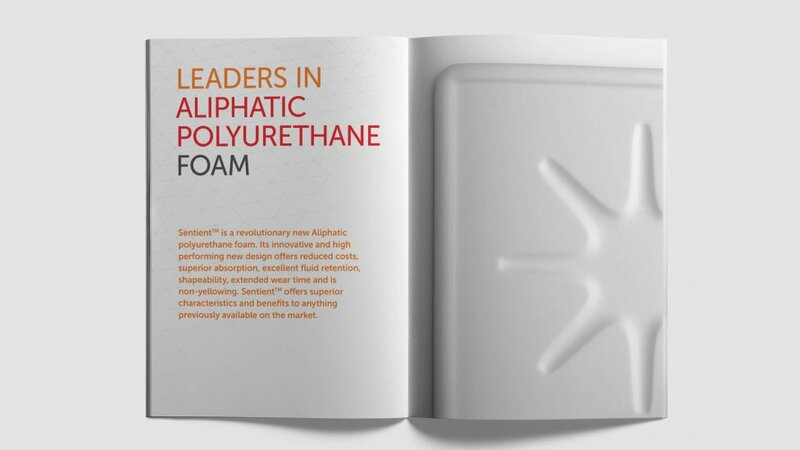 The Advanced Coatings Division of the company tasked us with creating a product brochure design to help them present SentientTM, an innovative and high performing foam for the wound dressing market. MEDICA – World Forum for Medicine, the world’s leading trade fair for the medical industry, was the chosen forum to present the product. 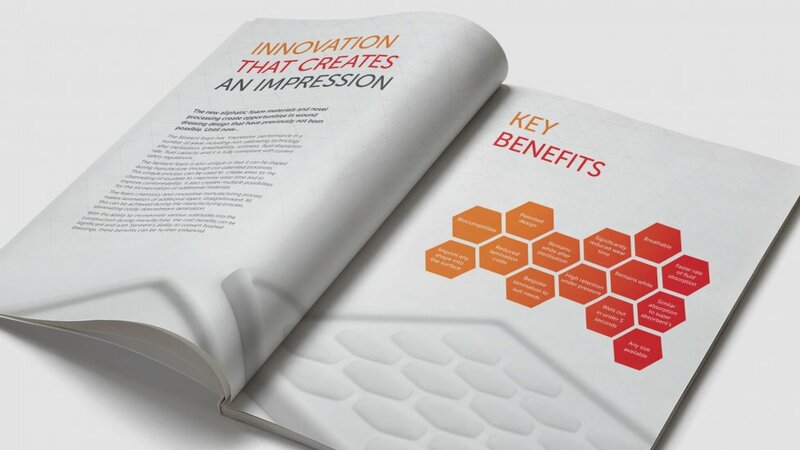 With five conferences and more than 5,000 exhibitors from over 70 countries in 17 exhibition halls, the medical brochure design had to help the product stand out against the competition. 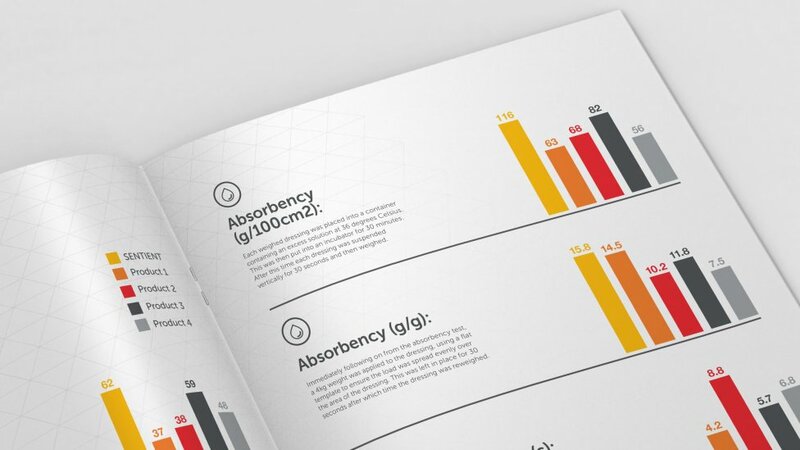 We produced a very simple yet visually stunning brochure design that gives the target audience in-depth information about the product in a concise and targeted way, maximising its effectiveness as a take-away item that captures the interest of medical industry professionals. The clean visuals and white tones that dominate the product brochure design contribute to an idea of cleanliness and clinical sterilisation. Beautiful renders of the product on soft touch stock make the audience feel like they’re in contact with wound dressings, creating a sensory appeal. 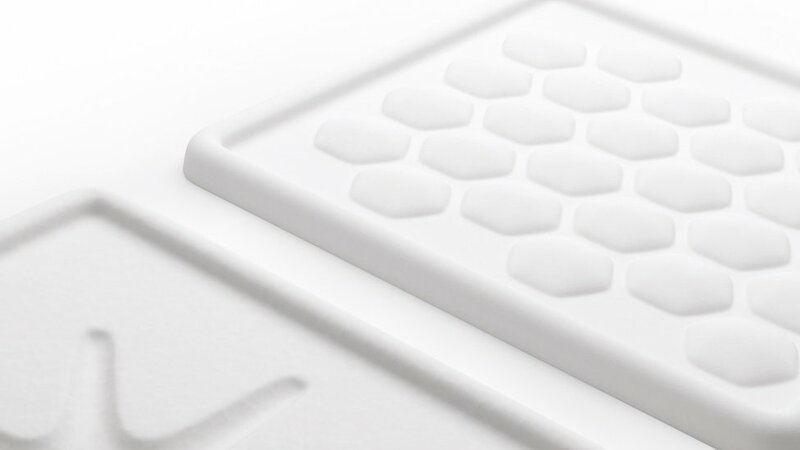 A cross-hatch pattern used as background throughout the medical brochure design helps evoke the protective nature of the product. Our design team created 3D renders to help visualise applications of the product, while soft angles and soft touch stock entice the audience to experience the product directly and find out more. Simple and colourful comparison graphs present the benefits of using SentientTM versus products offered by the competition. 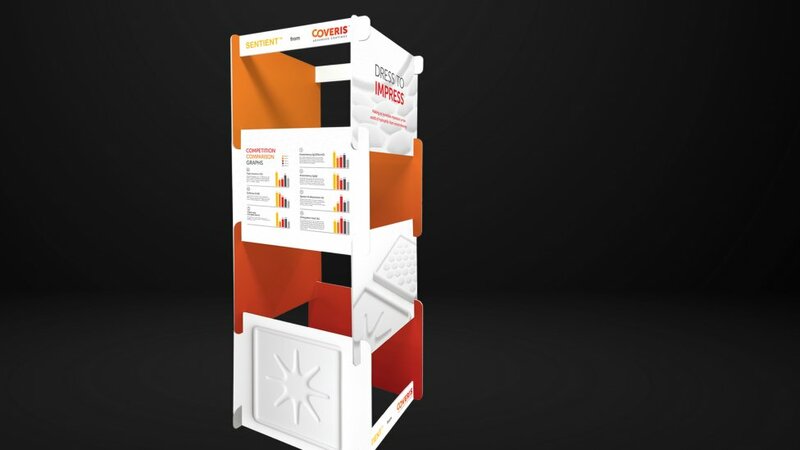 We also produced a tower system of panels to reinforce the message communicated by the medical brochure design and increase footfall to the exhibition area.